Lots of memories stirring, first yesterday at a flea market with my mom and then again today at the grocery store. Like these guys, which I never see in my daily life. It wouldn’t shock me to discover that some of my students might not even recognize what they are. And then these Southern treats on the shelves at Piggly Wiggly. I don’t smoke and do not own an ashtray. However, I grew up in a time when every household had ashtrays because even if people in your own family didn’t smoke, you’d eventually have company over who did. 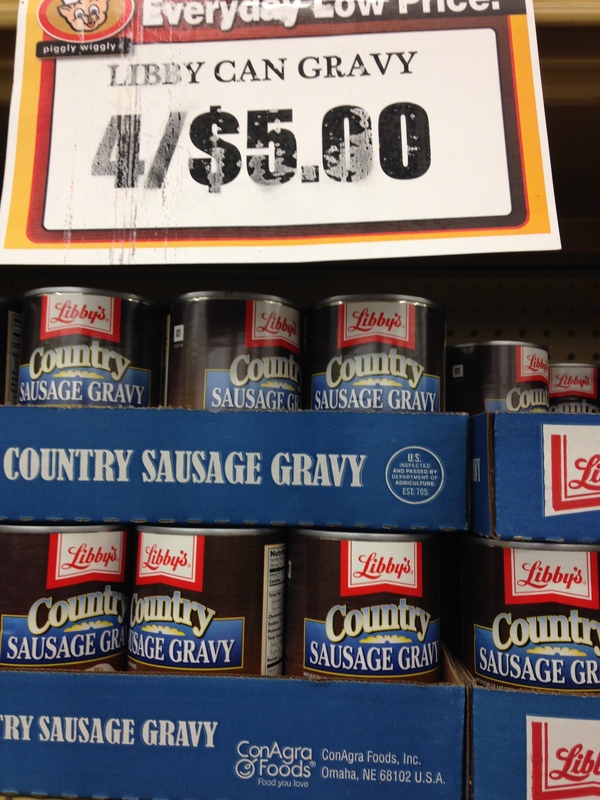 I’ve never eaten a Moon Pie, and I’ve only ever made sausage gravy from scratch. I didn’t even know it came in cans. Encountering these items, so alien and yet so immediately familiar, conjured up a weird sense of nostalgia: evoking a past not really mine but filled with strangely comforting memories all the same. This entry was posted in Life, Photography and tagged ashtrays, Moon Pies, nostalgia, sausage gravy. Bookmark the permalink. Oh wow, what a blast from the past. 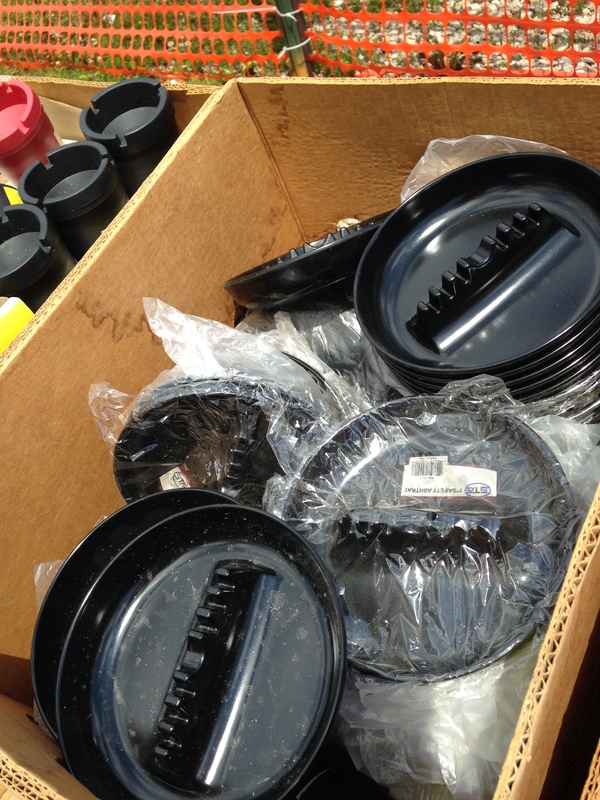 lol How much were those jumbo bowling alley size ashtrays? I know what I could use one for besides ashes now. I’ll have to look at the $1 store for one of those. It’s funny how a person grows up in an environment of smokers & now that’s it’s banned in restaurants etc I can’t stand the smell of cigarette smoke. 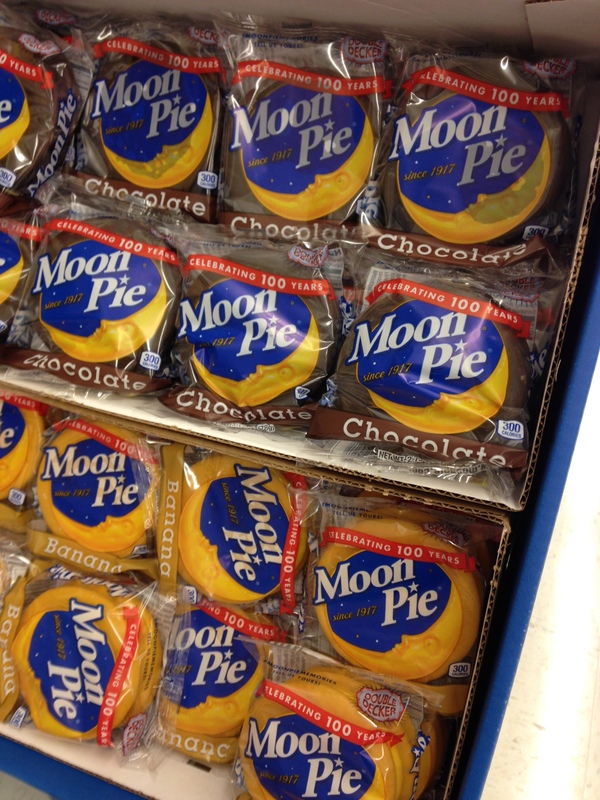 What are moon pies? Gravy of any sort is always the best made from scratch in my opinion, especially Mom’s. That stuff in the envelope, jar & can is nasty stuff. Thanks for the memories. A child’s delightful treat and yes, lot’s of sugar..
Oh, and the ash trays were $1.00 each, and I saw multiple sellers. I’ll bet Seven Mile Fair has them. Guess I wasn’t that far off on the $1 store price, lol. I’ll have to look into those. Yep, I’m sure the reason I’ve never had one is that whenever the opportunity presented itself in the past, I just preferred not to eat one. And then over time it turned out to be a “never ate one” track record. I feel like maybe I’m missing out on something, but when I had the opportunity to buy a Moon Pie at Piggly Wiggly yesterday, I passed it up yet again.